Panasonic Japan went on a 3D spree today, presenting a total of 6 3D products to be rolled out soon. And the company has priced and dated the new TVs, Blu-ray recorders and players, too (at least for the Japanese market). 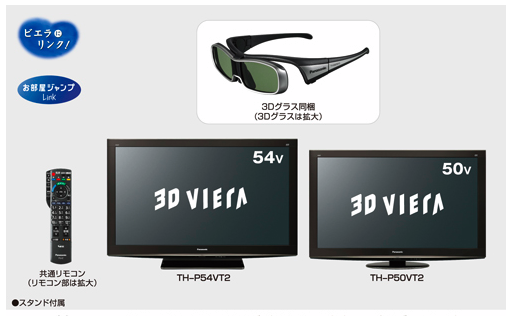 Some of them were shown last month during the CES, there’s no new word on their cool 3D camcorder, but anyway, here are the 3D TVs [JP] first. 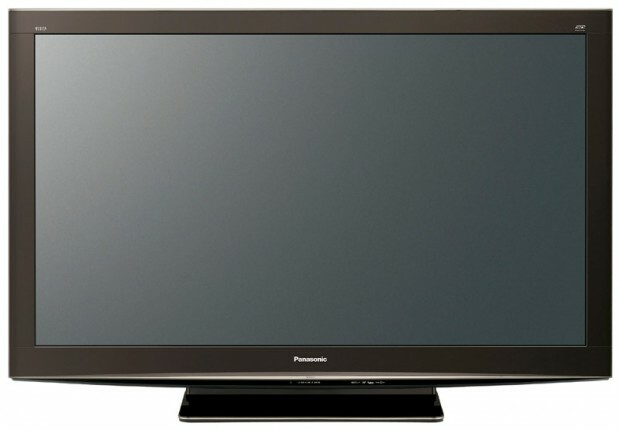 The VIERA TH-P54VT (pictured above) and TH-P50VT2 feature 54 inches and 50 inches screen size, respectively. Both plasma TVs are full HD (the first with 3D) and need you to wear Active shutter glasses (63g) to get that 3D experience. Other specs include a (native) contrast ratio of 5,000,000:1, VIERA link, web connectivity, 4 HDMI ports, multiple TV tuners, eco-mode, full range 16×4cm×2 speakers and a 10cm sub-woofer. Both TVs will go on sale in Japan on April 23. Prices: $5,900 for the VIERA TH-P54VT and $4,800 for the smaller model. Panasonic has announced a few similar non-3D plasmas today, too, and it looks like the 3D function sets buyers back around $800. The company hasn’t said yet when and for how much the 3D VIERAs will be sold internationally.